I really don’t remember the real reason what opted us to go to Mindanao. I think the controlling factor would be: first, we’ve never been there, and second, Patricia lives there. Hence, this summer trip led by my friend Patricia as a default tour guide. 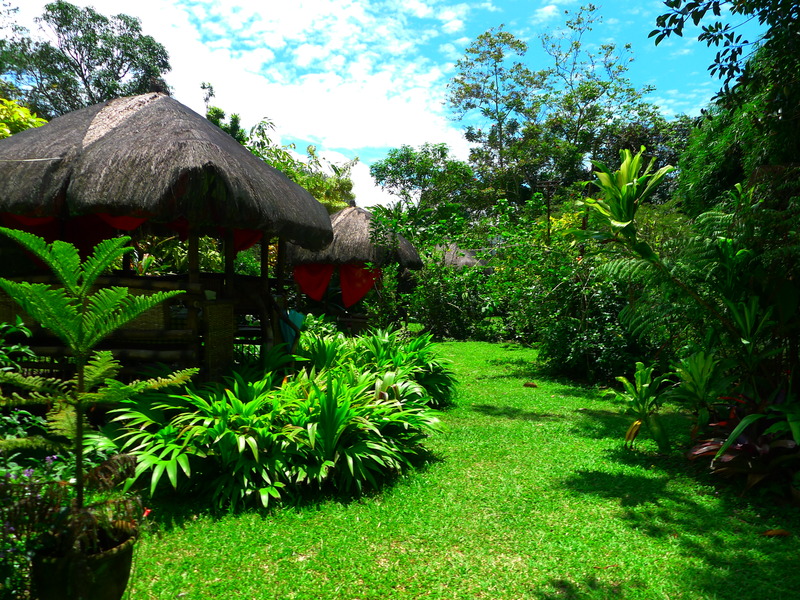 It was the six of us – Bea, Marnie, Chatti, Kajo, Patricia and I – who went to Bukidnon for four days and three nights. We stayed at Patricia’s place at Malaybalay, Bukidnon. Going there from Manila took us about half a day since we made a few stop-overs along the way. We took a domestic flight for 1.20 hr from Manila to Cagayan de Oro (Lumbia Airport) and another 2.5 hr car ride from there to Malaybalay, Bukidnon. 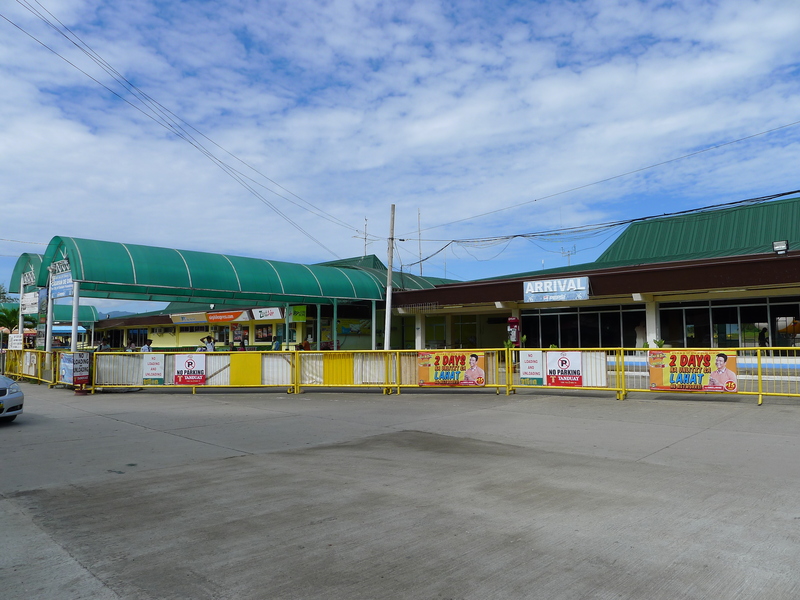 There is no domestic airport in Bukidnon so all travels leading there must channel through Cagayan de Oro (CDO). As expected, the airport was nothing extravagant. I guess all domestic airports are like that in the Philippines. I don’t care about it though. What’s important is that we arrived at CDO safely. Since we took an early flight, we arrived just in time for breakfast. Patricia has plans for lunch already so she suggested that we eat something light instead. Hence, we ate at the most popular fast food chain in the world – McDonald’s. Before going straight to Malaybalay, we went to Panagatan floating restaurant located in Misamis Oriental and Del Monte Golf Country Club Bukidnon. Those places, as Patricia said, were places that should be visited by tourist. Also, we don’t have time going there any other day since our itinerary was full. 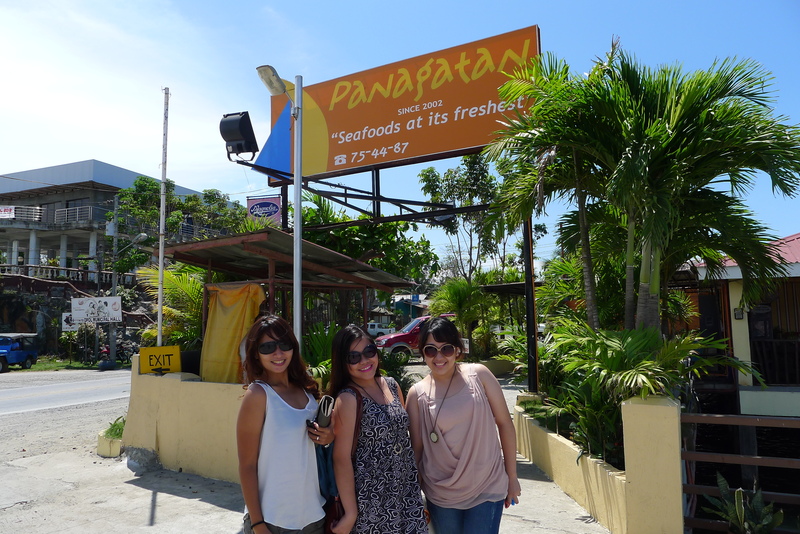 Panagatan is such a cool floating restaurant. 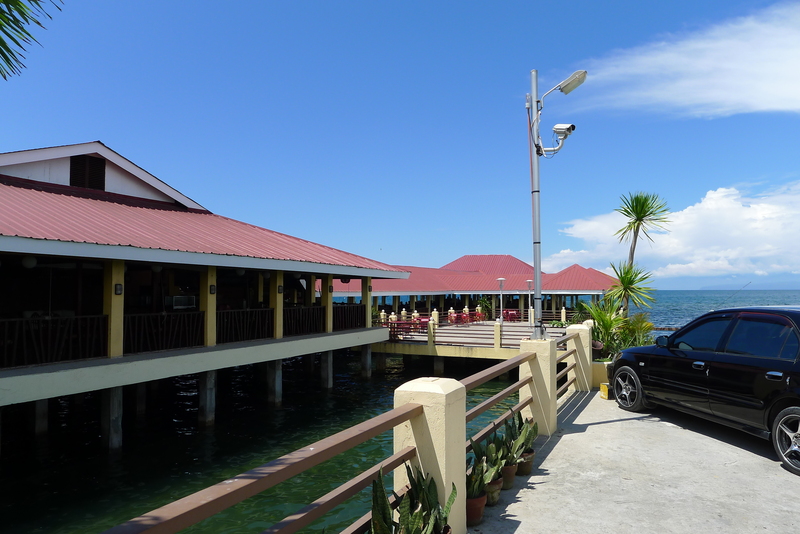 The view of the sea contrasting the roads of Misamis Oriental was quite a view. The food is good also and not too expensive also. After another 2 hr drive, we arrived at Del Monte Golf Country Club. We we’re still full from our lunch so we just decided to drink coffee and tea and share some french toast and pancakes. The french toast was so good! The pancakes were a bit dry though. Alas, after a whole day trip, we arrived at Patricia’s place. We were welcomed by her parents and older brother. Her mom, prepared us dinner. In truth, we were still full from our lunch and snack, but we couldn’t pass out the prepared dinner…steak!!! Patricia’s family owns a restaurant just across their house. Lucky her! So in times of hunger, all she needs to do is call the restaurant ask them to make her some food. In our case as being delighted guest, our dinner was served with Wagyu steak, 2 kinds of pasta, a salad and dessert. All these food are eaten in the comfort of their home but with a waiter a few steps from the dining table. I mean, how cool is that? After a very sumptuous dinner, we went to bed and took the time to advantage of our deprived sleep. The five of us stayed at their guestroom. The next day, it was Patricia’s older brother, Juan, who toured us around Malaybalay. The original plan was to go to the monastery, Nasuli Spring, Gantungan Falls, Kaamulan Grounds, and a bit of tour around town. Unfortunately, it rained hard around the afternoon so were able to hit the monastery, shooting grounds and capitol only. During the evening, we went out for a drink at local pub called Mindy’s. We were accompanied by some of Patricia’s friends and cousin, and ofcourse with Kuya Juan. I had to skip the first bottle of Jose Cuervo because I don’t like a tequila hangover. While they were doing shots, I was drinking a bottle of Tanduay Ice. I’m such a loser. After finishing the whole bottle in a jiffy, they got a bottle of Jack Daniels for replenishment. Now since Jack is good friend of mine, I decided to join the drinking. By the time I started to catch up, everyone else is getting drunk. I mean it! My friends are so hyper that I sat on the corner table to settle down since I’m palpitating from the mixed alcohol. Crazy right? The party didn’t stop there. We went a drive to the Capitol and parked in front of the field. With the same group of friends, they started drinking beer this time. It was a fun and crazy night. 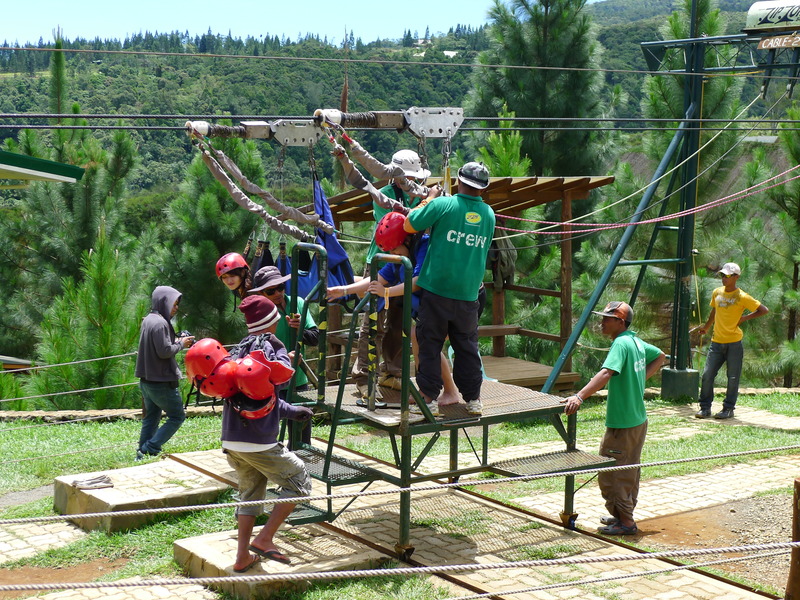 Third day’s plan was to go to Dahilayan Adventure Park for the zipline. It was another long drive from Malayabalay so we left early in the morning. We arrived there around 11am and went straight ahead for the zipline. I was feeling under the weather so I did not join the fun. I guess the weather change of Manila, CDO and Bukidnon made me sick and got me the sniffles. Nevertheless, my friends enjoyed the Asia’s Longest Dual Zipline! 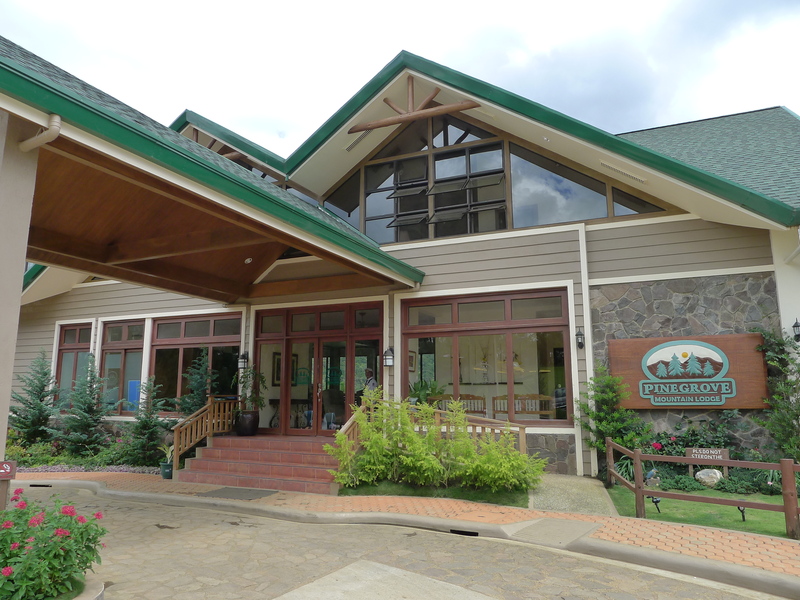 Afterwards, we decided to have lunch at Pinegrove Mountain Lodge, which is a new place inside Dahilayan Adventure Park. The food was good, but we have to commend the Mango cheesecake served there. It’s the best Mango cheesecake I have ever tasted! We were suppose to avail other activities at Dahilayan after lunch but the sky was a bit gloomy. Hence, we decided to call it a day. Actually, the day was not yet over because it was also the birthday of Patricia’s father. There was a small celebration that evening so we have to back early. Before going straight home, we stopped by a few shops in town to buy some tokens for the whole family. After all, we invaded their house for four days. There are few selections in town but we were able to give each of them a simple tokens. We gave it that evening during the party. Fastforward, we had dinner and a few drinks at the party but around midnight we had to excuse ourselves in order to pack our things and sleep for a few hours before going to Camiguin. The last day is the most crucial of all. Turns out staying four whole days at Bukidnon is not enough to see all the tourist attractions. 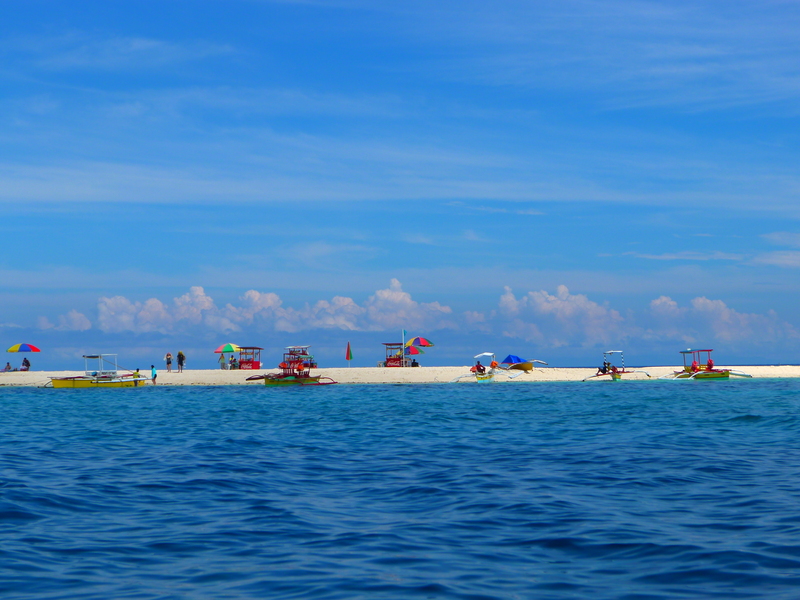 And since my friends are such beach bums, Camiguin island is must go-to destination before leaving for Manila. Our flight back to Manila was 6pm at Lumbia Airport so Patricia has this crazy but bright idea to squeeze-in Camuiguin Island before leaving. The idea was this: We leave 2 in the morning from Malaybalay to Camiguin. By 6am we will arrive at the port, take a 45 minute boat ride (taking the car with us) and take another 2 hour drive from the port of arrival to the beach. Most probably we will spend 1 hour or so at the beach and go straight to the airport for our flight back to Manila. The plan was perfect but it can’t afford any error. Well it did. There were delays from the ships departure both going to and from Camiguin. Nevertheless, we were still able to catch our flight back to Manila so all is well. Our only regret is that we didn’t have much time to chill on the beach and feel the sun & sand. I would like to give a shout out to my friend Patricia who was the TL (team leader) of this trip and made everything possible. Thank you kapatid! 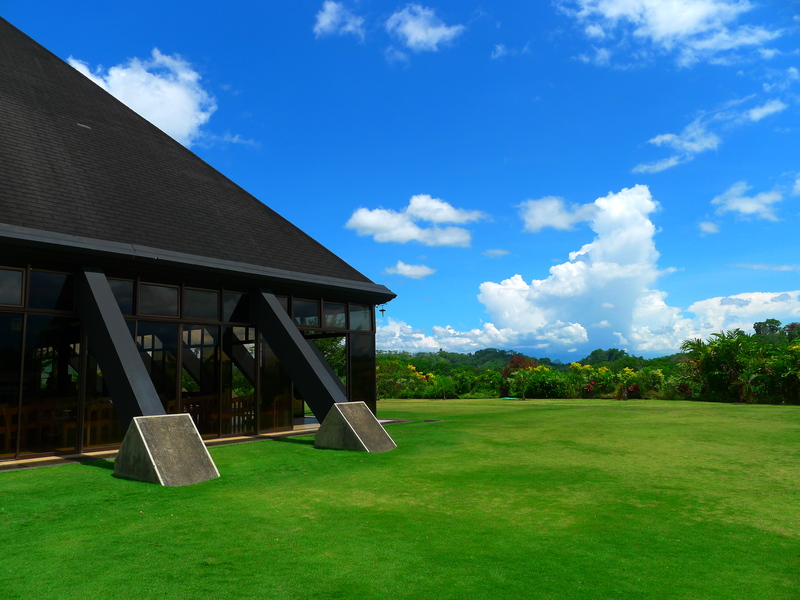 We’re also planning to go to CDO-Camiguin-Bukidnon on October. Do you think your friend Patricia can recommend us some local travel agencies?